Onel is from a large family that all live in Fond Blanc. His older brother Olin lives here at the orphanage and the rest of his brothers and his sister live at home with their father. Though he misses them, he does get to see them now and again. 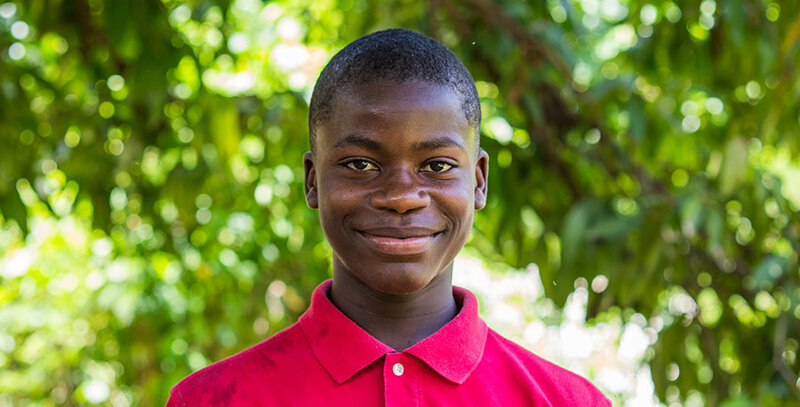 Onel moved here so that he could attend school and he looks at it as a huge blessing. He enjoys his education and likes to study grammar. When he’s older he would like to become an engineer. He would like to move out of Fond Blanc though and see more of Haiti. Onel really likes to help with the building in the summer months, he is good at carrying concrete blocks! But he really loves playing soccer the most. He doesn’t have a best friend at the orphanage because he’s friends with everyone.